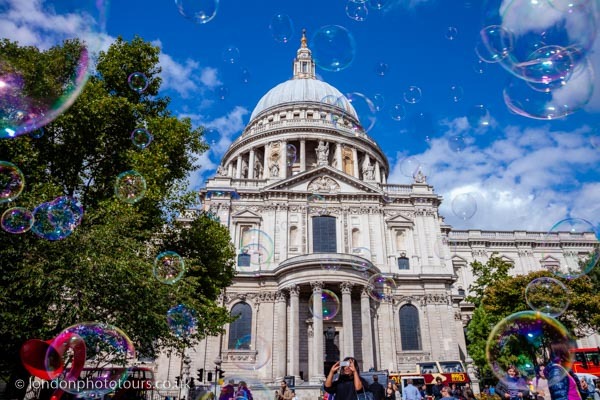 This is a new and exciting private London photography tour whose routes takes in the vibrant and colourful life on Bankside as it makes its way from Southwark Cathedral and over Millennium Bridge to historic St Paul’s. Explore quirky street and market scenes of the world famous Borough Market. Photograph the amazing architecture of two of London’s greatest Cathedrals and infuse your photos with the character and life of London. Highlights include, The Golden Hind Galleon II, The Globe Theatre, Borough Market, The Shard, Tate Modern, Millennium Bridge, stunning views over the River Thames and the landscaped courtyards of the Cathedrals. 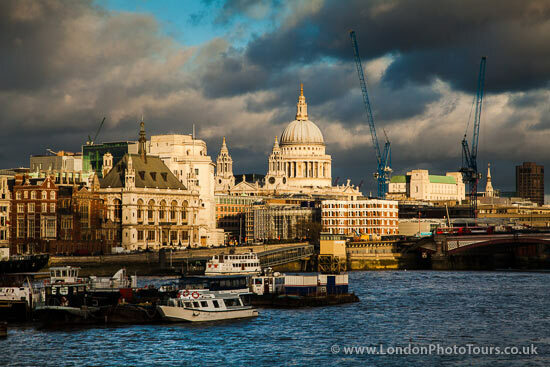 Capture great compositions and angle of views as you develop your photography skills along the route of this impressive London Photo Tour. Learn about, depth of field, creative shutter speeds, lens choices and zoom selections, how to use light, white balance and colour temperature, varied shooting modes and general camera handling.